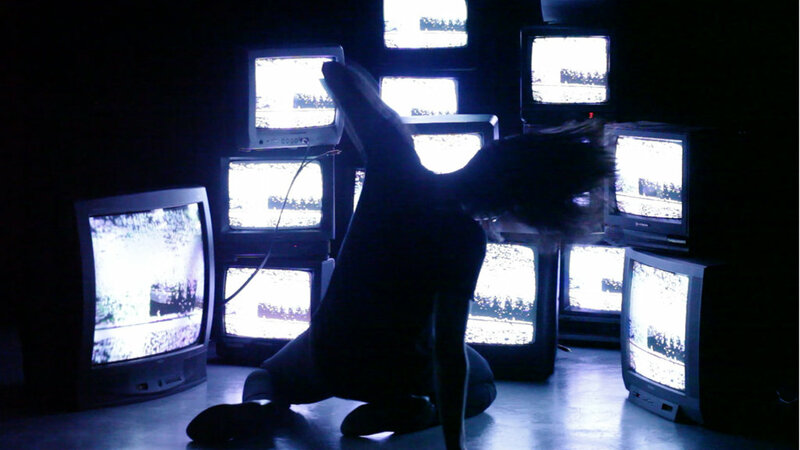 Sonya Stefan is a media artist who uses glitchy electronics, Hi-8 video, and 16mm film to create multimedia performances. 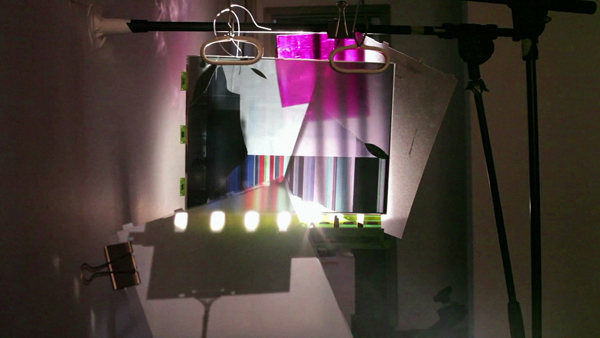 Her work often transforms the damaged and discarded – from broken mixers and cracked LCD screens to a collection of found, disintegrating films – into contemporary media works. Many of her projects are collaborative and involve pillaging garbage bags full of abandoned 35mm film which she freely distributes to other local artists to work with. The 24 television screens collected by the artist form the backdrop of anOther, part installation, part performance and concert. Bodies, images and sound create living sculptures, generating both dialogue and tension. 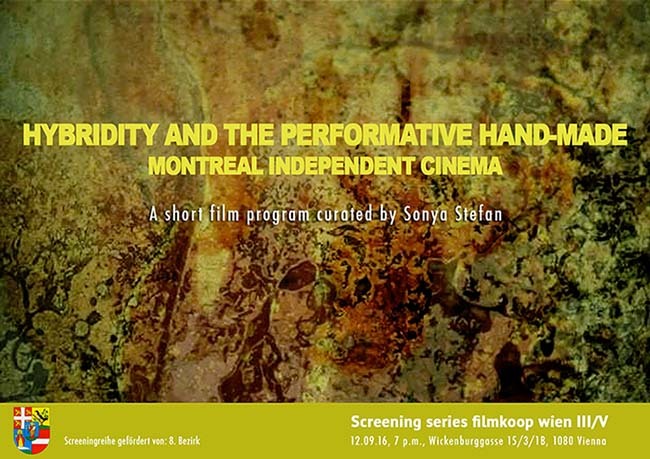 Sonya Stefan presents current Montreal filmmakers and video creators who are exploring hybrid techniques and the hand-made. Each artist defines their own unique process, either by hands-on film, video manipulation or via performance-based techniques such as Hamish Fulton-esque walking trajectories shot along a man-made path leading to a lake. Experimental and animation works make up this program.